Tahoe’s locals ensuring a solid future for Tahoe’s kids. If every resident of South Tahoe contributes just $25.26 per year, the Lake Tahoe Boys & Girls Club will have the needed funds to provide our kids the programs they need: education, technology, arts, sports, mentoring and more. This local program will guarantee the annual budget necessary to provide for more than 800 kids (and growing). That’s less than the average money spent on coffee per year. How will a Club $25.26 donation help BGCLT? It will keep needed programs available for more than 800 kids in South Lake Tahoe. Builds a sense of local involvement, responsibility and pride toward the Club’s success. Encourages others to participate to ensure the organization’s ongoing work. Provides necessary new materials for children’s use. Ensures qualified staffing that can make the difference to a child. We are not funded by the Boys & Girls Club of America so your donation directly helps keep our doors open. An annual donation of $25.26 means 2 hours of program activities & supervision for 20 kids! A annual donation of $252.60 provides equipment and supplies for 10 kids to participate in a fitness/sports program like basketball, soccer and baseball for one year! An annual donation of $2,526.00 guarantees 100 kids receive programs including arts, reading club, photography, tutoring, environmental, anti-bullying, drama, and to join readiness and technology for ONE month! 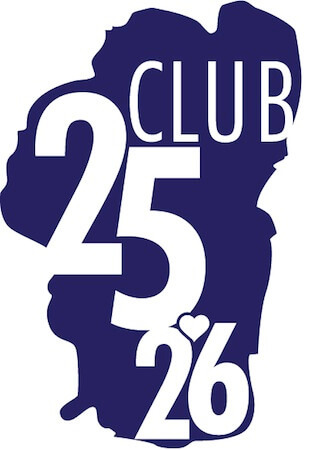 Sign Up Online Today for Club $25.26 ! Thank you for making a difference in the lives of local Tahoe children. If you question about the program, don’t hesitate to contact BGCLT by phone (530)542-0838 or email info@bclt.org. To pay by credit card: you will be redirected to BGCLT's Pay Pal payment page upon submission of form. All major credit cards and debit cards. Note: You must enter the membership donation amount on the Pay Pal form.